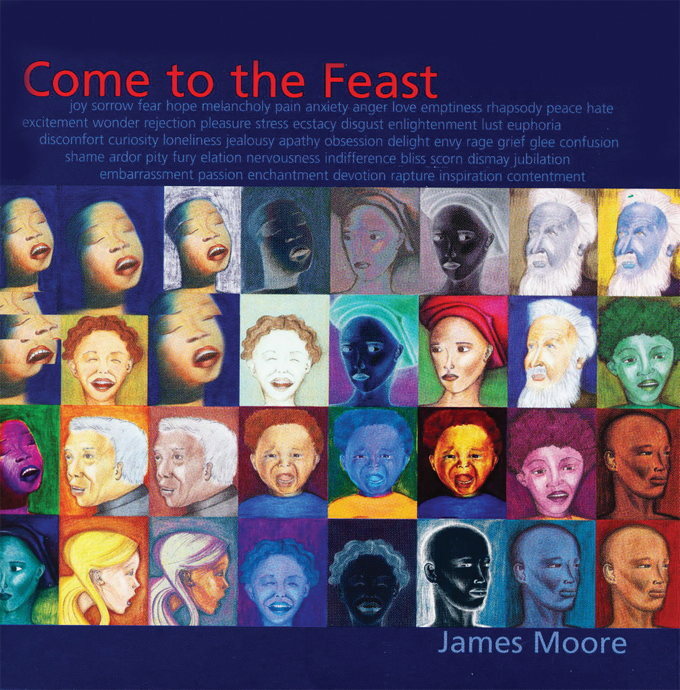 It's been some time since we've heard from the composer of the beloved "Taste and See," but Come to the Feast is certainly worth the wait. A resident of Vienna, Austria, James Moore has made a special return visit to the United States to produce this lively new collection. Known for simple refrains perfect for assembly singing, this collection offers "Let Us Go Rejoicing," featuring a delightful refrain in canon; "Love Endures," a wedding song with a simple congregation response; and "Praise Ye the Lord," a wonderful new hymn. "I Am Special" was written for use with children's choirs and may also be used with a combined choir of adults and children. "Alive!" is a lively song written especially for youth, while "Be Still" is a meditative tune ideal for after Communion.